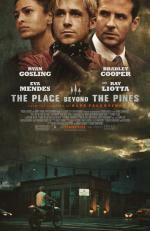 In Derek Cianfrance's The Place Beyond the Pines, Ryan Gosling plays Luke, a drifter who makes a living doing motorcycle stunts in a traveling carnival. When he discovers that he has an infant son, he decides he wants to be able to take care of the child. He meets an ex-convict who knows how to rob banks, and learns from him how to pull off heists.